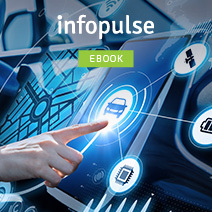 [ebook] How Does Augmented Reality Disrupt Automotive Industry? Send message Please fill in this quick form and we will send you a free quote shortly. Your privacy is important to us. We will never share your data. Your message is highly valuable for us. One of our experts will follow up with you within 1-2 business days to discuss your request or to inquire for additional information if needed. 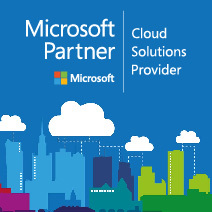 Subscribe to our updates Be among the first to get exclusive content on IT insights, innovations, and best practices. 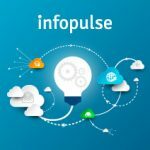 You are now subscribed to Infopulse Newsletter. Please look out for our email occasionally (and don’t forget to check your junk folder). Subscribe to our Vacancies Please fill in this quick form to be among the first to receive our updates. Thank you for your interest in our vacancies. You will receive weekly notifications based on your career preferences. We are looking forward to getting in touch with you. 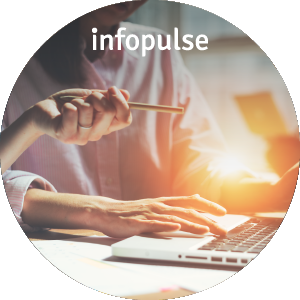 Send an email to Infopulse Please fill in this quick form to contact our expert directly. Your email is highly valuable for us. Our expert will follow up with you within 1-2 business days to discuss your question in detail. Read the Full Case Study Don't miss the most interesting part of the story! Submit this quick form to see the rest and to freely access all case studies on our website. Home / Blog / Software Engineering / DevOps: What is It and What are the Business Benefits? DevOps: What is It and What are the Business Benefits? Amazon could deploy new software to production . Today, their deployment frequency is even higher and has nothing to do with the company’s size or budgets. Amazon has been among the early adepts and eager supporters of the DevOps movement – the new reality of software development. Like Ford’s assembly line propelled the manufacturing industry into the new era, DevOps culture is changing the speed, quality and agility of technological production. 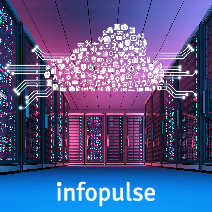 In a new series of posts, Infopulse team will explain why adopting DevOps is the ultimate route for enterprises to become more competitive and agile, release high-quality software faster, cheaper and with higher efficiency. DevOps is a set of practices that promote better collaboration and widespread automation of the processes happening between operational and development teams. Though, the DevOps best practices can be extended to other business units as well. “Dev” is an abbreviation for developers, QA, Product and other teams involved in shipping the software. 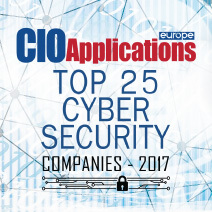 “Ops” is a blanket term for operational professionals – system engineers, administrators, release and network engineers, security staff and other job titles. 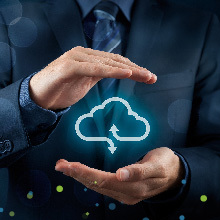 DevOps essential practices are geared towards eliminating the “ping-pong” between these two departments through establishing new communication standards, fostering tighter collaboration, smoother integration and automation of low-value processes. It’s a mindset shift aimed at breaking the “silo” between the two teams and merging them in one, effective unit that can ship new products faster with fewer people involved and less hours spent. DevOps is a cultural philosophy that assumes new methods of collaboration between different departments. DevOps is a set of best practices that help teams build, test and deploy new software faster and with fewer bugs. DevOps assumes using new tools for automating zero-value business processes and eliminating ineffective, manual routines. DevOps stimulates the adoption of new practices that are continuous in nature and enable flow, small batch size deliverables and continuous improvement to software development process and ultimately, the product itself. 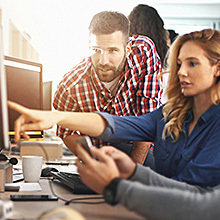 Embracing DevOps means that your organization is ready to create an ongoing, cross-department conversation about strengthening the current business processes, introducing new practices and actively preaching increased collaboration, knowledge sharing and experimentation. Have 5 times lower change failure rate (changes are 1/5 times as likely to fail). The particular appeal of DevOps is that you no longer have to trade speed (time-to-market; deployment frequency) for product stability and vice versa. The DevOps framework assumes that you gradually develop the capability to maintain both parameters at a high score by adopting respective DevOps best practices. Smoother and faster product life cycles with continuous delivery. Improved professional development opportunities and cross-department knowledge exchange. More time to innovate and create new features for customers, rather than focusing on maintenance and fixing known bugs. The DevOps movement is deeply rooted with two approaches – Agile and Lean. Originally, development teams were strictly responsible for building the product only, while the “Ops” personnel was in charge of dealing with “whatever will happen next”. Agile software development practices were geared towards reducing this gap and introduced an incremental approach to project planning. Work became prioritized based on business and customer value. 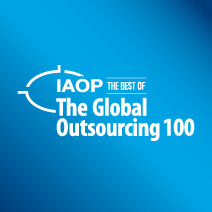 Development teams were encouraged to closely collaborate with the customers and other teams. Cross-functional teams became in charge of working over a certain product feature over a fixed period of time. DevOps movement pushed agile practices one step further – and extended the usage of Agile principles beyond “the coding” to the entire delivery lifecycle. Operate under the principle of “Quality is not something you tack on the end”. The goal of DevOps is to increase the teams’ velocity, acceptance and rapid response to change and help them develop a razor-sharp focus on the value generated by each action. Furthermore, DevOps culture is based on the concept of a value stream. A value stream represents all the steps taken to create and deliver something of value (feature, product) to the consumer. 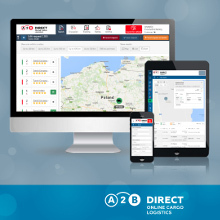 Delivery – scheduling the final release, gathering user feedback etc. Different teams are held responsible for specific KPIs and tasks at each stage. The project information is only exchanged partially and is not fully integrated with the rest of the value stream. Developers, operations and strategy teams use different tools and do not always pass on all the required knowledge to the other teams. 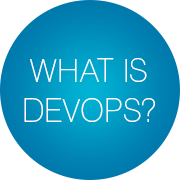 DevOps assumes the switch to a unified value stream. This means merging all the people, tools, processes and information exchanges in a single “source of truth”. All staff involved in delivery of the software should have seamless access to information and insights required for decision-making. The transition to a unified value stream is facilitated by following the three core DevOps principles described in the next section. The First Way facilitates a fast left-to-right flow of work from Development to Operations to the customer. All the work is visible and broken into small-size tasks, performed in specific intervals. Eliminate the possibility of passing a known bug to another team (Ops). 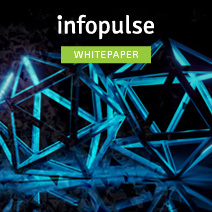 Constantly seek new ways to improve existing workflows and further eliminate frictions. Never allow local optimization (or problem) to grow into a global failure. The Second Way encourages the creation of a constant feedback loop from right-to-left at all stages of the value stream. Develop a better understanding of all customers and users (internal and external). Amplify the feedback loops, so that problems are detected and recovered from faster. Embed new knowledge where needed, so that it enables product owners to build a system where problems are discovered and fixed before a major failure occurs. The Third Way assumes the creation of a high-trust culture, encouraging continuous experimentation and improvement of current best practices; a scientific approach to risk-taking, so that the teams learn both from successes and failures. A working environment that encourages teams to experiment and take risks, which in turn helps them learn faster compared to the competition and dominate the market. The effects of new knowledge are multiplied. Local discoveries can be easily transformed into global improvements. Anyone within the company can access and benefit from the cumulative experience of everyone else. These three principles constitute the base of a mature DevOps culture and are backed-up by the DevOps best practices. If you would like to learn more about how your organization can benefit from DevOps adoption and the exact business values it can generate for your business, don’t hesitate to schedule a discovery session with our professionals.